Are you ready for some football? Yes! The Big Game is right around the corner, and everyone knows that’s the best time for pizza and wings. In fact, last year, Forbes estimated that Americans consumed 12.5 million pizzas and 1.3 billion wings on game day. While not all of those came from QSRs, many of them did. So, what are the best marketing tactics to maximize your sales for the Big Game? Here are some of our most successful suggestions. This may seem like a no-brainer, but the importance of marketing in the weeks before the Big Game can’t be understated. Oftentimes, customers choose to order pizza based entirely on whichever restaurant they think of first. This is especially true of customers who don’t order pizza often — commercials and coupons can make all the difference. Your QSR doesn’t need to spend millions of dollars on a game day commercial. Run a targeted campaign in your area. Send out coupons or have a delivery driver hang door flyers. Make sure your drivers are using car toppers so potential customers see them on the road. Recognition is everything, especially leading up to game day. Nobody likes being pulled away from a game, especially not the biggest game of the year. For most people, driving to a restaurant to pick up a carryout order or even stepping away to order over the phone are unwelcome distractions from the event. After all, the commercial breaks are sometimes the most entertaining part of the game. Domino’s did a great job of this last year, when it gave customers the option to order directly from Facebook Messenger. No carryout, no phone calls — customers didn’t even have to open a store-specific app or visit the Domino’s website. Ok, you don’t have to engineer your own Facebook Messenger chatbot to get a slice of the action. But make sure your customers have a way to reach you without picking up the phone — it’ll make a big difference. If your franchise is one of the big pizza chains, you’re in luck — you’ll pull big business on game day through name recognition alone. Domino’s and Papa John’s have loyal customers that aren’t likely to stray, and Pizza Hut is now the official pizza sponsor of the Big Game. 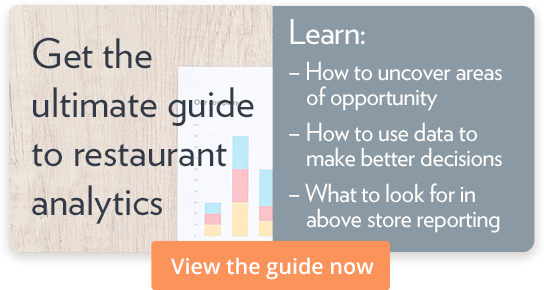 To get a leg up on the other big names, focus on what makes your restaurant distinctive. Everyone has pizza, so what menu items do you have that your competitors can’t offer? Do you have specialty pizzas or toppings that others don’t, like taco pizzas or dessert pizzas? Emphasize what makes your QSR unique, and you’ll pull customers from your competitors. If your restaurant isn’t one of the big names in the pizza delivery industry, you have a separate, but equally, passionate customer base to pull from. Many customers prefer to order from smaller restaurants for a number of reasons like supporting small businesses and the idea of a more personal experience. But since you don’t have the name recognition of the larger companies, getting your name out there is even more important. Game day is Black Friday for pizza delivery restaurants. It’s not a matter of whether people will be ordering, but who they’ll be ordering from. Marketing is crucial at all levels — commercials, coupons, and name recognition are essential. Play to your strengths, make sure you’re properly staffed, and get ready for a busy, but rewarding, game day.